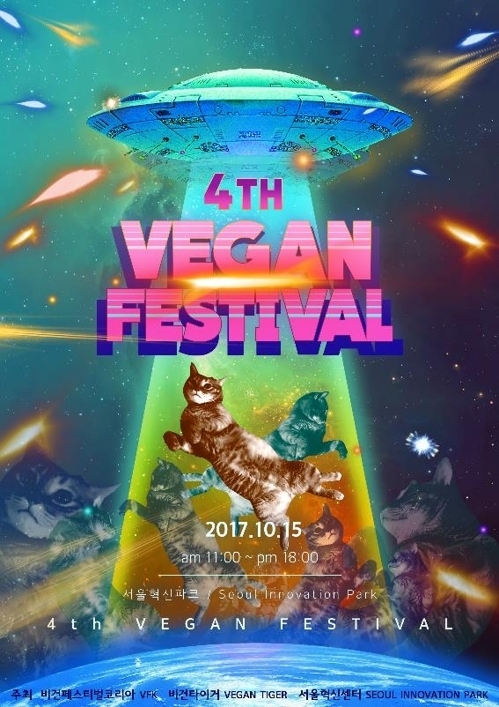 With public interest of veganism and vegan food growing, the Seoul Metropolitan Government is hosting the fourth vegan festival this weekend. To be held at the Seoul Innovation Center in Eunpyeong-gu on Sunday, this free-admission event will offer a variety of plant-based cuisine such as textured vegetable protein, as well as cruelty-free cosmetics and all other things free of animal products. The festival is co-hosted by the Seoul Innovation Center, Vegan Festival Korea and a fashion brand Vegan Tiger. An accumulated 6,000 people have visited and enjoyed the previous festivals, organizers said. They said 5 percent of the total proceeds from 84 booths run by vegan chefs, eco-friendly startups and individuals on the festival day will be donated to animal rights group to support animal welfare. The festival will also involve musical performances, including busking of violinist Kim Bitnalyoonmi and musician Kwon Bom. “We hope the vegan festival works as a bridge to connect more people to understanding the concept of environment-friendly culture,” said Jeon Hyo-kwan, official from the Seoul Innovation Center.